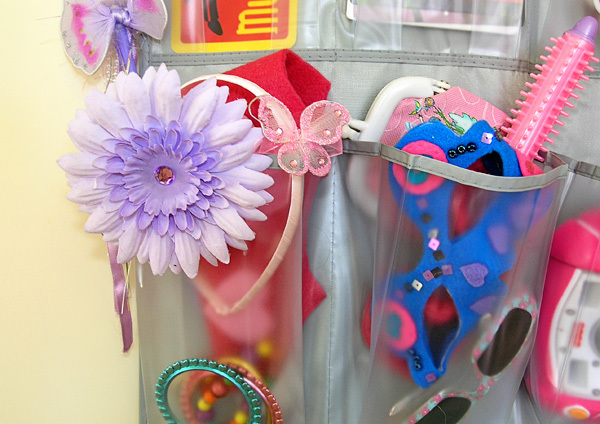 A hanging shoe rack with clear plastic pockets can provide a handy playroom storage solution, especially when space is at a premium. 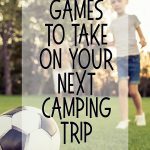 Easily adaptable to suit all sorts of playful toys and resources, here are eight suggestions that might just suit the kids who play in your home. 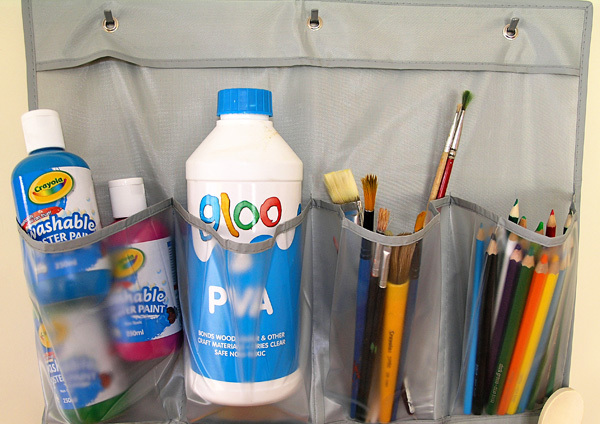 Storing art materials in this way means that art mediums that need closer adult supervision and assistance can be placed in sight but out of reach of little fingers while those safe to use independently can be stored nearer the bottom. 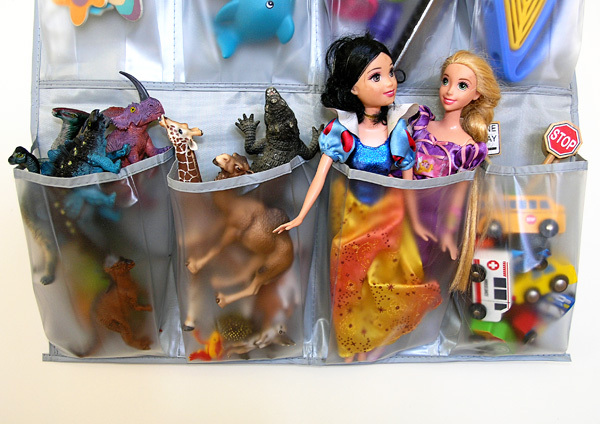 Perfect for small animal and people figurines, toy cars and trains, even Barbies (or princess) dolls. 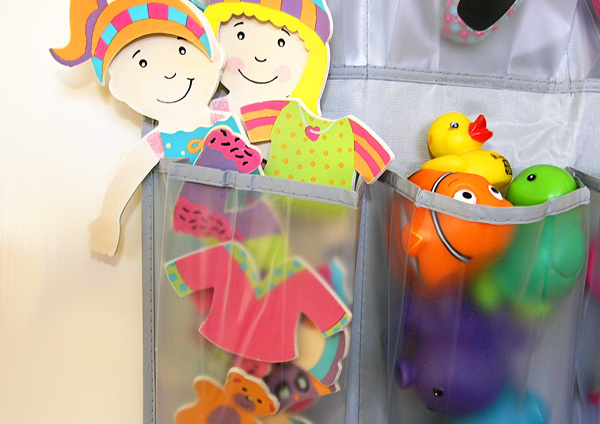 Label the pockets with picture and word sticker to encourage your child to stay organised at pack away time. 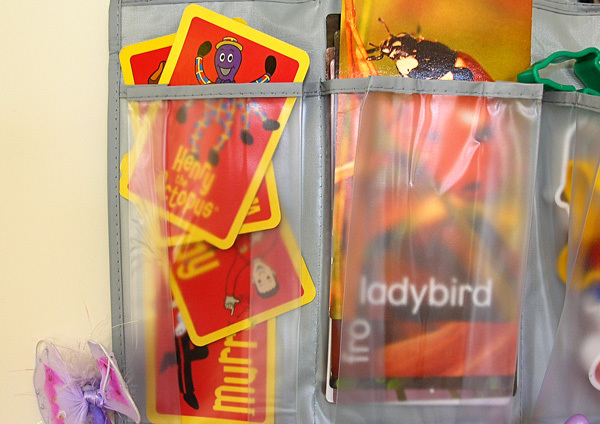 Store card games, interest-based learning activities and other small games and jigsaw puzzles (one per pocket) to keep the pieces organised and accessible. 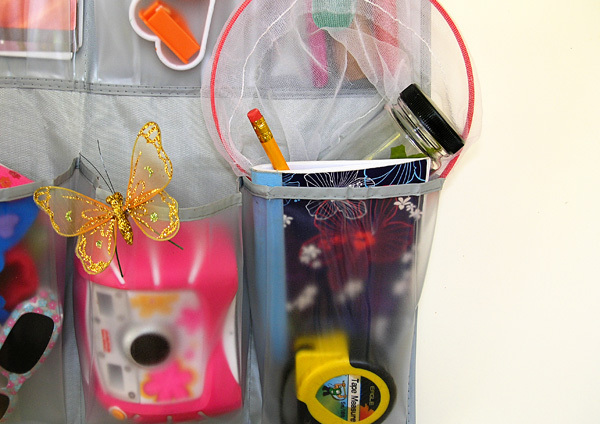 The clear pockets provide useful storage for all manner of dress up accessories – masks, wands, purses, sunglasses, hair clips, even bling! 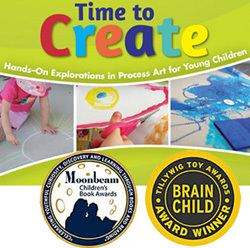 Whip up a batch of playdough and get busy! 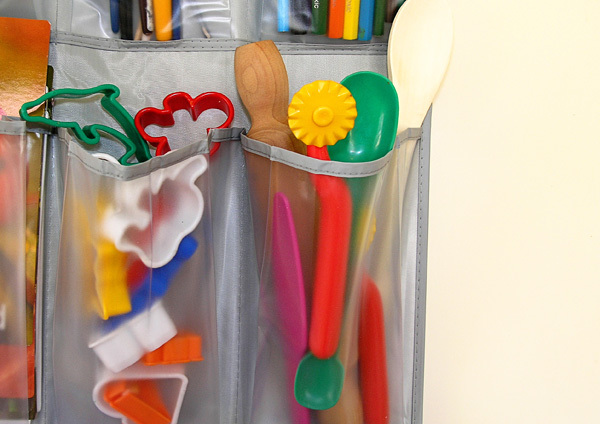 Store together rolling pins, biscuit cutters, popsticks, patty pans, pipe cleaners and whatever else you need to create your very own sculptural masterpieces. Field journal – check! 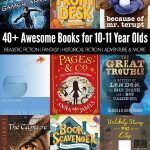 Bug catcher – check! Camera – check! 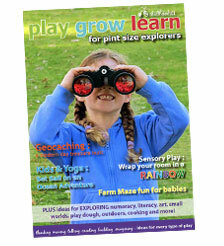 Store everything your young explorer needs ready and waiting for their next expedition! Hanging a shoe rack in your bathroom can be a great way of creating more storage for bath toys and toiletries in a small space. Pierce a few holes in the bottom of each pocket to help with drainage. 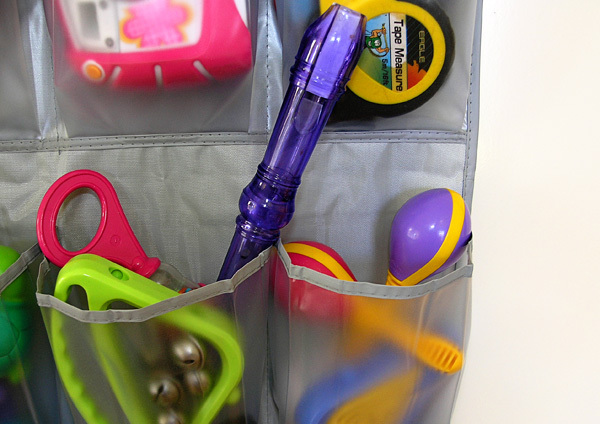 When it’s time for a family jam session your little one will know right where to go to find instruments for everyone! 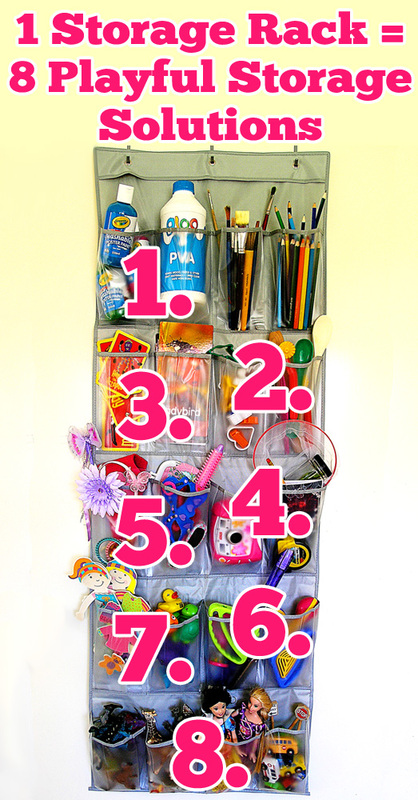 What playful resources could you store in a hanging shoe rack? 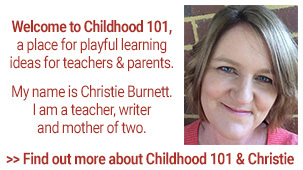 This article first appeared in Issue 2 of Play Grow Learn ezine. 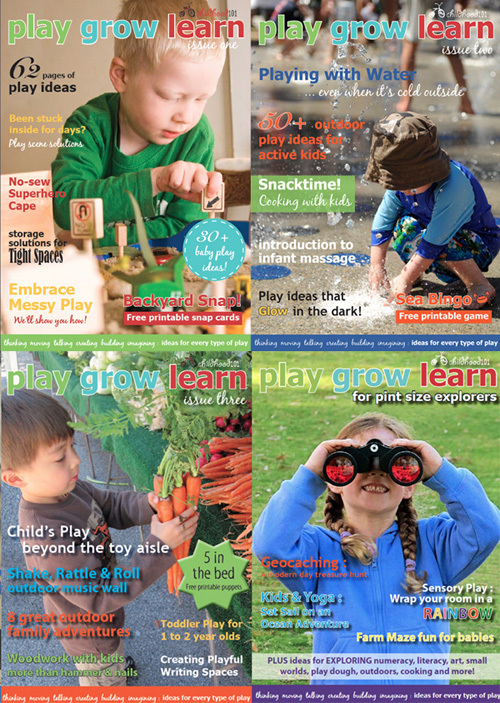 Each and every issue includes oodles of ideas for getting busy with kids! 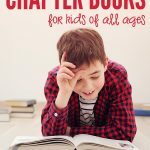 Exclusive printable games and activities, book reviews, toy recommendations, cooking experiences and pages and pages of play activity and project ideas for kids of all ages – from babies through to early primary school age. 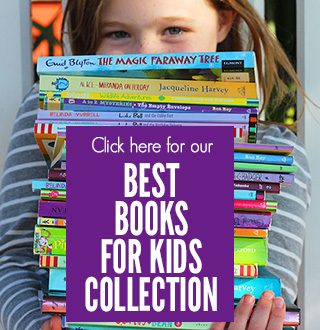 GRAB YOUR COPY HERE.